We care about your recovery and understand that few events in your life can match the emotional intensity and financial consequence as a serious property loss can be. It takes years to obtain property and establish a business but only moments to take it away. A few minutes of time invested in seeking out appropriate help and knowledge will greatly benefit you in your recovery. We are dedicated to providing our clients exceptional service in handling your insurance loss while providing your expert loss consultation throughout every step of your insurance claim. Many people have not heard about our type of service until they have suffered a property loss. We understand that insurance companies would prefer that public adjusters or loss consultants not be involved with their claims as they enjoy a more controlled and powerful position if the insured is not educated in the process. Insurance companies and the people who work for insurance companies are not bad people; however, many of the tasks that are required in your recovery can not or should not be performed by the insurance representatives. That is why Public Adjusters was established. To represent you and to protect you, our client’s interest, in measuring, documenting and presenting insurance claims on your behalf, in effort to maximize as well as expedite your insurance recoveries. 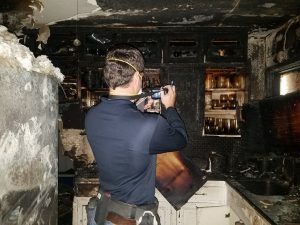 Once the stability of your home or business has been restored, our team of associates can concentrate on quickly preparing detailed assessments of loss and value for the various aspects of coverage and file these assessments on your behalf with insurance company representatives, therefore expediting claim settlement. Our National Search includes attorneys on retainer that are ready and willing to advise you immediately of any limitations and/or exclusions that may be applicable to your policy, which may limit recovery of your claim. Our associates are skilled, knowledgeable, experienced engineers, builders and/or loss experts, which prepare very detailed estimates of your loss. These estimates are in a form very familiar to insurance company adjusters and are skillfully developed and presented on your, our client’s, behalf. Our team of professional Public Adjusters and loss experts will then discuss the extent of the loss with the insurance company staff, adjusters or their experts for all parts of your claim. They will make the most of their years of experience, knowledge and expertise to agree on a maximum claim recovery on your behalf. Public Adjusters financial strength gives us a tremendous advantage over the typical one or two person public adjusting company. Our financial stability also allows us to employ the best talent for quantifying your claim and gives Public Adjusters the staying power to remain focused on obtaining the maximum possible settlement for our clients. Unlike the majority of smaller and under capitalized public adjusting firms, we are under no pressure to settle to collect our fee. Public Adjusters does not impose any quotas on adjusters and will not barter the settlement of your claim with others. Public Adjusters size and stability provides all the resources needed to stay in business and patiently negotiate the monetary recovery our clients deserve. For Public Adjusters, the proper settlement of your claim is our most important objective and the number one reason we have remained in business. We know that properly evaluating your policy coverage, thoroughly documenting all the details of the loss, accurately valuing your loss, and effectively negotiating the claim with your insurance company can be a lengthy and arduous process. No problem – every member of the Public Adjusters team is passionate about serving our clients beyond their expectations. Simply put, Public Adjusters works harder and smarter in our mission to be the best. Insurance companies are aware that Public Adjusters know the true value of your claim and that we have both the resources and the means to wait for a fair and equitable settlement. They also know that we will skillfully assist our clients every step of the way. It’s a reputation we have built over the years. We’re proud of the high standards and results we’ve achieved for thousands of clients. You will have a licensed Public Adjuster who is a skilled negotiator to represent your interests at all meetings with insurance company adjusters. Public Adjusters enjoys strong national relationships with the public adjusting industry which allows us to draw from a uniquely qualified pool of experts. This enhances our capabilities in bringing full satisfaction to your claim settlement. Prompt and frequent status reports are made to help our clients understand and feel comfortable with the progress of their claim. Public adjusters have provided unparalleled service to policyholders over the years and are considered one of the leading adjusting firms in the country. Our public adjusters have countless years of experience in the building construction and insurance adjusting fields. Our staff members are licensed public adjusters, licensed general contractors, and former building construction company executives. Through detailed scrutiny of policy terms, proper documentation, and effective presentation of findings, our public adjusters have routinely secured higher than average settlements. Obtaining settlements which are much greater than what an insurance company initially offered are very common when using Public Adjusters. Many claims that are initially denied eventually get paid due to our tenacity and experience. Each type of natural disaster holds its own unique challenges for the property owner or business owner when it comes to substantiating your claim and its settlement. With decades of experience and more senior and certified professional public adjusters on staff than most other organizations of its kind. Public Adjusters has faced all types of disasters from Hurricane Harney to Katrina to major flood losses and other Catastrophic event, which our experts successfully assisted homeowners and business owners through each disaster. No matter where you live in the United States, you may be subjected to a disaster at some point of your life and when you are you need representation of a Public Adjuster. We have assisted thousands of hurricanes and tornadoes victims over the years. We are considered one of the Nation’s leading CAT team of Public Insurance Adjusters. When a disaster happens our team springs into action to help business owners and homeowners in getting the insurance settlement they are entitled. Do yourself a favor now, line up a public adjuster protect your business’s and your families interest. We offer a preferred client program which is beneficial to all homeowners and business owners. 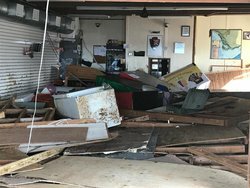 Currently Public Adjuster Search Adjusters and their team which is comprised of Public Adjusters, Insurance Appraisers and other experts are assisting disaster victims all over the Country. Events such as Hurricane Sandy and Hurricane Isaac are recent events where our Public Adjusters have proven to be very helpful to those who have suffered the worst hardships. Our public adjusters take the burden off the homeowner and business owners and allow them some normalcy in their lives.